and we want to make sure that you enjoy them for years to come! 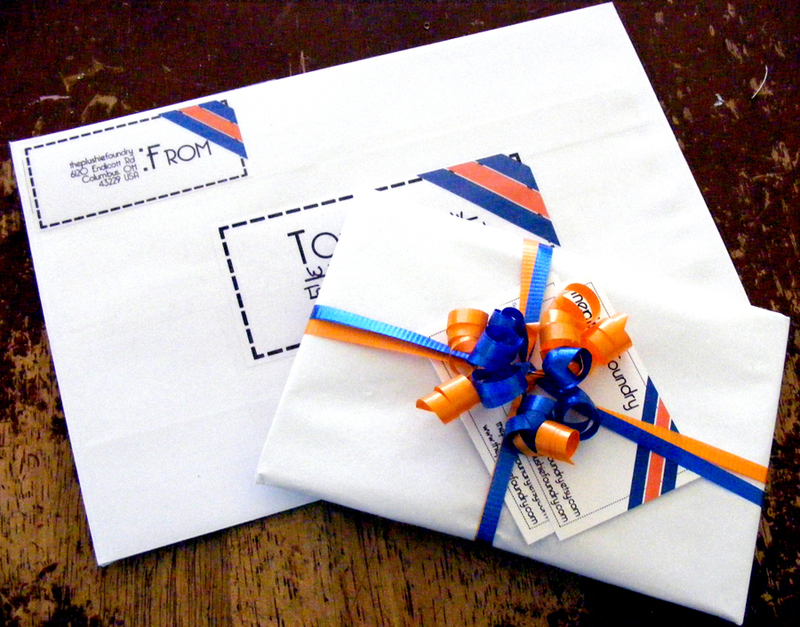 All plushies here at the foundry are shipped in half-pound white candy boxes, on a bed of white tissue and curls of blue and orange ribbon. All plushies include a BirthCertificate so that the plushie can be named and given a birthday upon receipt. All marionettes here at the foundry are shipped in appropriately-sized white cardboard boxes, padded with white tissue, and a few curls of blue and orange ribbon sprinkled around for fun. Marionettes do not include a BirthCertificate at this time, but one can be included at no extra cost. All pins here at the foundry are wrapped in several layers of white tissue, then tied with blue and orange ribbon. A few business cards are tucked under the curls, and then the whole thing is placed inside a white paper mailer. All packages from theplushiefoundry will include a few business cards, so you can pass them out to friends and family! As stated in the Policies Page, all of theplushiefoundry's adoptees are sent out via USPS. Insurance is only offered on the marionettes, due to their fragile nature. All plushies here at the foundry are handmade, which means that they're sewn together with a needle and thread. if you'd like several of one kind of plushie listed, please contact us, and we'll let you know!